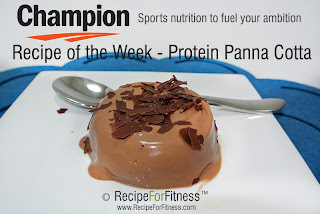 Recipe for Fitness: Champion Nutrition Recipe of The Week! 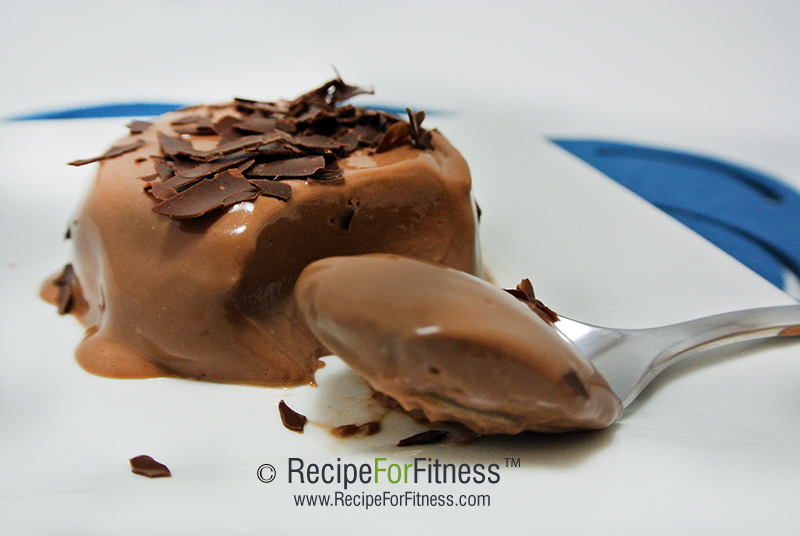 Chocolate Protein Panna Cotta! Champion Nutrition Recipe of The Week! 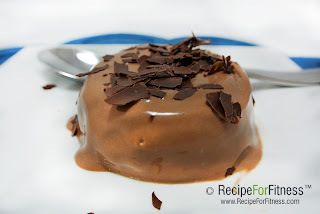 Chocolate Protein Panna Cotta! Got a sweet tooth? A craving for chocolate? A goal to meet that doesn't allow for a sweet tooth or chocolate craving? Before you find yourself drooling in the candy aisle, try my Chocolate Protein Panna Cotta! Creamy, Chocolaty, Cool... it's a chocolate lover's dream! And... you can serve this to guests and they will NEVER know that this is a) healthy and b) athlete friendly. What they don't know, they can't squack about, right? 1. Blend 2 scoops chocolate protein powder with 2 cups unsweetened chocolate almond milk. Allow to sit until all the air/foam gets to the top, then spoon it off and discard. 2. In a small bowl, sprinkle gelatin over 1/2 cup protein milk. 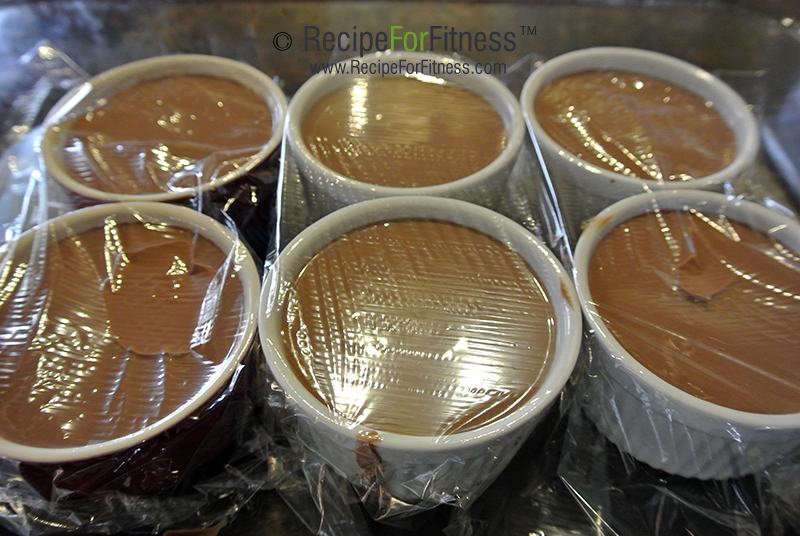 Let stand 1 minute, then stir and let stand about 10 more minutes for gelatin to soften. 3. 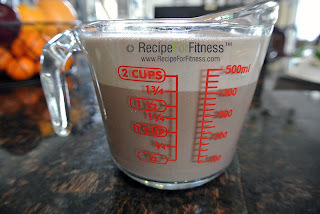 In a medium saucepan, whisk remaining 1 1/2 cups protein milk, the stevia packets, semisweet chocolate, and cocoa over medium-high heat until steaming, about 3 minutes. 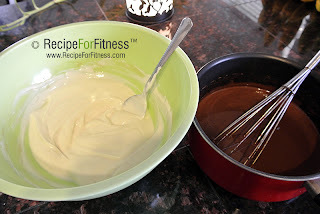 Add gelatin mixture and whisk gently until it dissolves, 2 to 3 minutes. Let cool 15 minutes. 4. In a large bowl, whisk yogurt with vanilla until smooth. 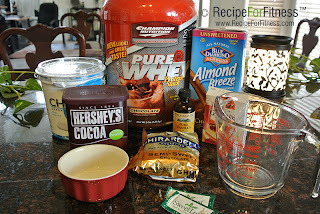 Pour and stir chocolate mixture through a fine strainer into yogurt, then whisk mixtures together. 5. Oil 6 ramekins (about 1 cup size). Divide yogurt mixture among ramekins. Chill, covered, until set, 4 1/2 hours and up to 2 days. 6. 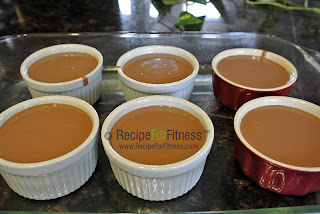 Run a small metal spatula between panna cottas and sides of ramekins to loosen. 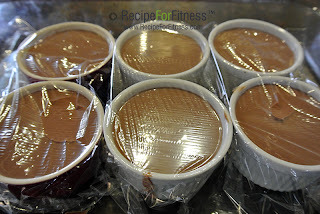 Immerse ramekins 1 at a time to just below rim in hot water until edges of dessert soften, 20 to 30 seconds; lift out and dry bottom of ramekin. Invert a small plate over each. Hold plate and ramekin together and give a firm shake to release panna cotta, easing it out gently with the spatula if needed. 7. Scatter chocolate shavings over desserts if you like. per serving: 181 calories, 16 grams protein, 16 grams carbs, 6 grams fat, 1 gram fiber.